i've connected in my garage a octoprint server connected by ethernet because i've no wifi here. I use klipper as firmware. 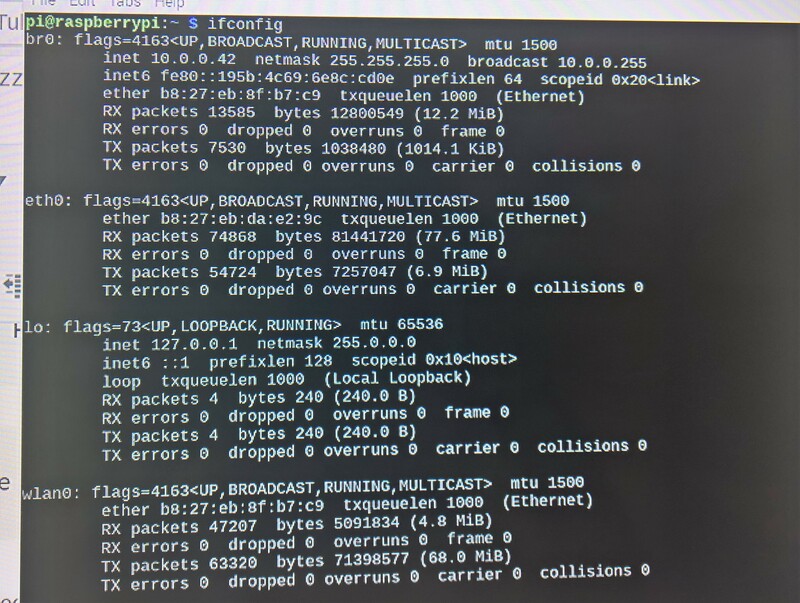 It's possible to share the ethernet connection by pi wifi to control octoprint? I believe the answer to your question is yes. Try googling "raspberry pi as wifi router" and examine the search results for something you can use. Check out another OctoPrint plugin I just released: The Spaghetti Detective — AI-based print failure detection. unfortunately I did not understand if it still works with the latest version of octoprint and if it only works having the connection via ethernet. with this system if I unplug the cable and restart will the hotspot wifi appear? Unfortunately, the tutorial for the wi-fi hotspot instructs the user to issue an invalid subnet of 10.0.0.x which in many cases won't route. Don't use 10.0.0.x, replace throughout with 10.0.1.x. Having two active network cards in the Raspi (Ethernet and wi-fi) should in most cases still allow connections in both directions. 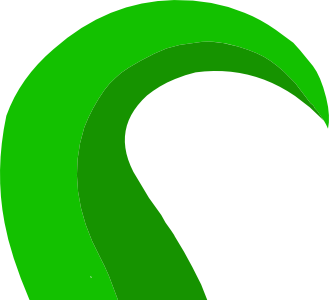 So if you use your smartphone's wi-fi connection wizard to connect to the Raspi's hotspot, the OctoPrint instance is quite possibly the only computer you would be able to connect to. And then, if you have a workstation in another room connected to your Ethernet network, you should also be able to connect to the Raspi that way. Please note that creating a hotspot on your Raspi (and not having the Ethernet connected) will mean that you won't get upgrade notices, the software update features will not work as well as any plugins which try to talk to the cloud. So, you mean that when i've well configured wifi hotspot on raspi i can leave it always on and, in the same way, leave connected ethernet. In this case when i'm on pc in the house i can control octoprint with http://octopi.local/ and when i'm in garage i can control octoprint using 10.0.1.x and smartphone without unplug the ethernet cable? If yes how have to config the wifi hotspot on raspi? More or less, yes. You should be able to have your cake and eat it, too. You would leave your Ethernet cable plugged in and enjoy the best of both worlds. 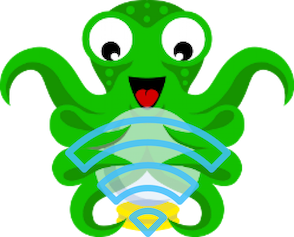 If your smartphone is an iPhone then you might get away with using octopi.local just as you would otherwise since it has the Bonjour service running on it. As for how to do it, you yourself provided the link earlier. I was just cautioning you to adjust the IP network used throughout. And yet, I wouldn't call this optimal since you have to adjust your smartphone each visit. If you buy something like I did, the Orbi room routers by Netgear, for example, you wouldn't have to add a hotspot to your Raspi. do you think is the right way for me? This one on the surface looks the same but it's fairly different. Honestly, you're not an I.T. guru so why attempt all this? If you don't understand the nuances and the risks involved then this all is sounding like a bad idea. I've been doing this for four decades and even though I could do this, I wouldn't do this. It's not that it isn't neat... it's just that I wouldn't confuse a $35 computer for a qualified network router. Whenever you connected to that hotspot with your smartphone, the automated behind-the-scenes stuff is going to think that you're being idle and it's going to want to start downloading megabytes worth of iOS or Android software updates. All this will end up going through the Raspberry and maybe even while your print job is trying to run. You'll then end up having bad print quality and you'll think that OctoPrint is the cause. Run an Ethernet cable into your garage. It's not that hard. I did this back when I owned a house. While I believe it is possible to configure the Raspberry Pi to be a WiFi access point on the network the ethernet cable is connected to, I left finding the right "how-to" and implementing it as an exercise for @ilcristofer with the assumption that the skills to do so exist. I believe I have the skills to do so but not the need or the desire. If I did have the need, I would NOT use the Raspberry Pi running OctoPrint to do so. I'd purchase a cheap WiFi router (one that also included a couple of wired ethernet connections), a short ethernet cable (optional) and then move the ethernet wire currently connected to the Pi to this new router and either connect the Pi with WiFi to this new router or connect it with the short ethernet cable. BTW, this new router should probably be configured as an access point because that is what is needed here. Every router I've ever used could be configured this way. You could, of course, purchase a WiFi access point, but they are usually much more expensive than a router that can do the same thing with a couple of minutes of configuration. This implementation separates the load of handling the WiFi from the load of driving the printer. If the Raspberry Pi has too many compute cycles subtracted from the printing process, the print job could fail. It allows for things like watching a streaming video on your smartphone while keeping "one eye" on the print job. I don't know the details of your local area network, but a WiFi extender is also a possibility. Configuring the new WiFi router as a WiFi extender instead of as a WiFi access point may also be possible. Add the other router you have in the garage and then in theory your smartphone is good to go. (I'm surprised your smartphone can't connect to your house's wi-fi router from the garage.) For the many reasons described, doctoring the Pi is probably a bad idea.